William “Bill” Louis Kochler Jr. passed away on February 7, 2019 at the age of 90 with his beloved wife, Ann (nee Coryell), at his side. 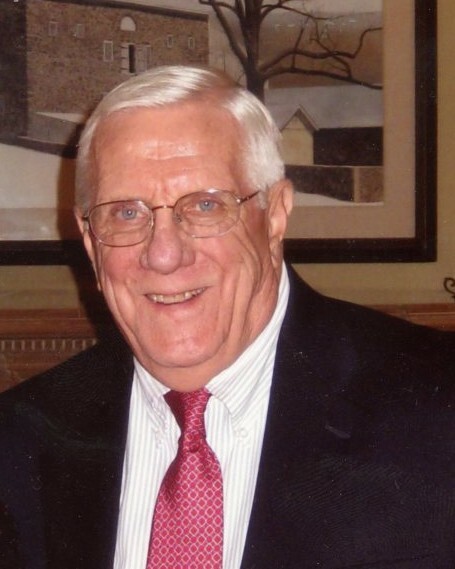 Formerly of Malvern and most recently of Tel Hai, Honey Brook, Bill was a graduate of Haddonfied Memorial High School in NJ and St. Vincent College in Latrobe, PA.
Bill was an employee of TV Guide Magazine from its inception, retiring after 40 years as Circulation Manager. As an avid wood decoy and bird carver, he belonged to the Chester County Wild Fowl Carver Club. Always a dog lover, he owned and showed his Airedales and for many years was the treasurer of the Airedale Terrier Club of America. A former parishioner of St. Philip and James parish in Exton, he also was an active member of the Men of Malvern Retreat House for the past 60 years. Bill is survived by his wife, Ann, of 60 years, his sisters Joan Alexander of Richmond, VA and Jean Threston (Joe) of Cinnaminson, NJ; many nieces and nephews; and by his dear friends Jenni Chiodo and Tracy Romashko, who devotedly cared for him. Relatives and friends are invited to his Mass of Christian Burial on Friday, February 15 at 11am at St. Philip and James Church 107 N Ship Rd, Exton, PA 19341 with a visitation prior from 9:45 to 10:45am. Internment services will be private. In lieu of flowers, donations in Bill’s memory may be made to St. Vincent College, 300 Fraser Purchase Rd. Latrobe, PA 15650.